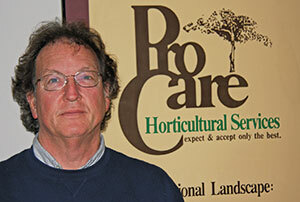 Pro Care Horticultural Services minimizes equipment loss with a financial incentive. There’s no doubt that landscape equipment experiences a lot of wear and tear and many pieces break down over time. But improper maintenance and carelessness can lead to earlier breakdowns, loss or even theft. Lowell Rolsky, president of Pro Care Horticultural Services in Carmel, Ind., recently implemented a new tactic that aims to minimize equipment problems. By deducting from the bonuses he offers employees at the end of the year, he believes he may be able to reduce the amount of lost, stolen or damaged equipment the company deals with annually. At the end of the year, supervisors and foremen are eligible for a bonus of $50 for every year they’ve been with the company. That’s in addition to a $50 bonus that employees get any time their name is mentioned by a customer. But Rolsky has found that deducting money from that “end-of-year” bonus is most effective considering it’s a time when the holidays are on employees’ minds and they’re hoping to make some extra cash. Rolsky adds that he’s already observed positive changes. Workers, for instance, are remembering to lock their trucks, and leaders are doing a better job of looking at their trucks before they leave job sites. “It’s helping our employees to pay attention to the bigger picture,” Rolsky says. The end-of-year bonuses are easy to budget for since they’re based on how long employees have been with the company, he says. As the end of the year approaches, he knows what he should set aside and says he’d be happy to continue to pay out the full amount and see a decrease in his equipment loss percentage.